At the halfway point of the mountain, Han Ling and Co. were following behind the programme crew as they slowly made their way uphill. There were a total of eight people participating in the programme and they were allowed to pick their own routes, they just needed to be followed by two cameramen. The large majority of the group was following Xia Xuan. “Xuan-jie says she wants to rest. Director, let’s rest for a bit.” Xia Xuan’s assistant ran to the director to say arrogantly. Without waiting for a reply, she ran back to Xia Xuan’s side. Helpless, the director could only allow everyone to take a rest. Fang Jinyu waved a phone. With the tacit understanding they shared, the others immediately understood. The four sat huddled together and discussed in low voices. It was mostly Fang Jinyu and Han Ling speaking with Yan Ze and Jiang Ming listening. “Hey, you guys, go down the mountain and buy some spring water for Xuan-jie!” At some point, Xia Xuan’s assistant was standing next to them as she ordered them around arrogantly. The people in the surroundings had scattered further away so the closest people were these four. And since the average age of this group probably wouldn’t exceed 20, Xia Xuan’s assistant locked on to them. The assistant scowled before ridiculing. “Young people should exercise more. It’s just going to get some water, what are you so unhappy about? In this circle, improving relations is the most important skill. The assistant told them the brand name and urged them to hurry up before strutting off. Han Ling was the eldest so she saw more clearly than the other three. “Then are just going to take this lying down?” Fang Jinyu was still a bit upset. Han Ling went to inform the programme crew before bringing Yan Ze down the mountain to buy water. That crew member had wanted to go but had been politely declined by Han Ling. Her pitiful appearance won her some points from a few of the crew members who began to feel slightly discontent with Xia Xuan as a result. By the time the main group had reached their destination, it was already closing in on 6pm. “Xia Xuan’s lackeys bullied us.” They didn’t have any hesitation to tattle because they knew the company’s policy: Can’t beat them? No problem, there’s always the company! Shi Sheng looked over to Xia Xuan, who just so happened to be looking in her direction. Their gazes met. Shi Sheng’s eyes were calm, without the slightest ripple. This caused Xia Xuan to feel frustration growing inside her. Xia Xuan had seen those four get off from her car hence she had found ways and means to torment them. However, Xia Xuan hadn’t expected Shi Sheng to not be upset at all. “Go and rest with the others. Just leave the rest to me.” Shi Sheng patted Han Ling’s shoulder and walked towards the director. The director called for the participants to gather. Aside from Shi Sheng, the remaining seven were in states of varying degrees of disarray. “Hey, Little Meatball1, you’re the first to reach again.” A lady walked up from the side and hooked her arm around Shi Sheng’s neck. She was called Fang Liqiu and was a 1st ranked celebrity. She had entered the programme at the same time at Shi Sheng and for some inexplicable reason, had taken a liking to her. She even gave her a nickname: Little Meatball. “I wanted to look for you when I got off the car but who knew… By the time I went to look for you, you already disappeared. Can you imagine how lonely and helpless I was feeling?” Fang Liqiu cast a glance at Xia Xuan, her expression full of grievance. Back then, Xia Xuan’s car had been blocking a lot of cars, including Fang Liqiu’s, so she couldn’t make her way over. The first one who reached got to enjoy a sumptuous dinner. Since it wouldn’t be completely filmed, as long as Shi Sheng was willing, Fang Liqiu could share some. The hints offered by the programme crew were extremely frustrating to crack. You had to consider all 18 generations of ancestors of the phrase2 before being able to find the object. After the quest slips had been issued, it was time for dinner. Apart from Fang Liqiu, everyone else could only stare hungrily at Shi Sheng’s extravagant dinner. Xia Xuan poked at the Chinese cabbage3 in her bowl. Her expression was ugly but when the camera turned to face her, it immediately regained its gentle elegance. 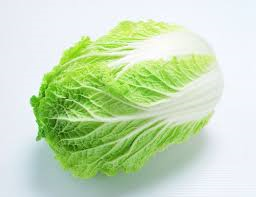 She ate the boiled Chinese cabbage as if it was a high-quality meal. When shooting was over, Fang Liqiu was dragged away by her assistant, leaving Shi Sheng sitting alone in the hall. “Aren’t you curious as to why I’m here?” Xia Xuan sat across from Shi Sheng as she examined her with narrowed eyes. “You-” Xia Xuan’s expression changed. This answer’s not in the script ah!!! This book is getting a fee! A fee! A fee! I’m repeating the most important part three times. And you guys have no idea how hard it was pinning down the exact genders of that four-man group. I had to go through until half of this chapter to find a single reference to Yan Ze’s gender. Fortunately I know Xiaoming – ahem – Jiang Ming is male. So the other two must be females. She referred to Jiang Wan as Xiaowanzi. The ‘wan’ in Xiaowanzi is different than Jiang Wan’s ‘Wan’. Jiang Wan is ‘江晚’ while Xiaowanzi is ‘小丸子’ which literally translates to Little Meatball. This is not literal. It just means to research thoroughly but I kept it in because I felt it would convey the feeling of the raws better.